Alexandra Palace welcomed students from the Ralph Allen School in Bath to the Dafabet Masters to celebrate the fourth year of its involvement with the ‘Cue Zone Into Schools’ programme last week. Year 10 students were given a backstage tour of the venue by Master of Ceremonies Rob Walker, including the main arena, commentary box, BBC studio and media centre. They were also able to watch the last 16 contest between Judd Trump and Stephen Maguire, before concluding the day with the opportunity to play in the ‘Cue Zone’ as supported by WPBSA World Snooker coaches. Taylor, a student at Ralph Allen said: “The Trump vs Maguire match was brilliant. Thanks for the work by Cue Zone allowing the great experience. Tom Hancock, the WPBSA World Snooker Coach at the school said: “Thanks to Jason Ferguson, Chris Lovell and their team. Our students had a fantastic time, they came home ‘buzzing’ on the mini bus! 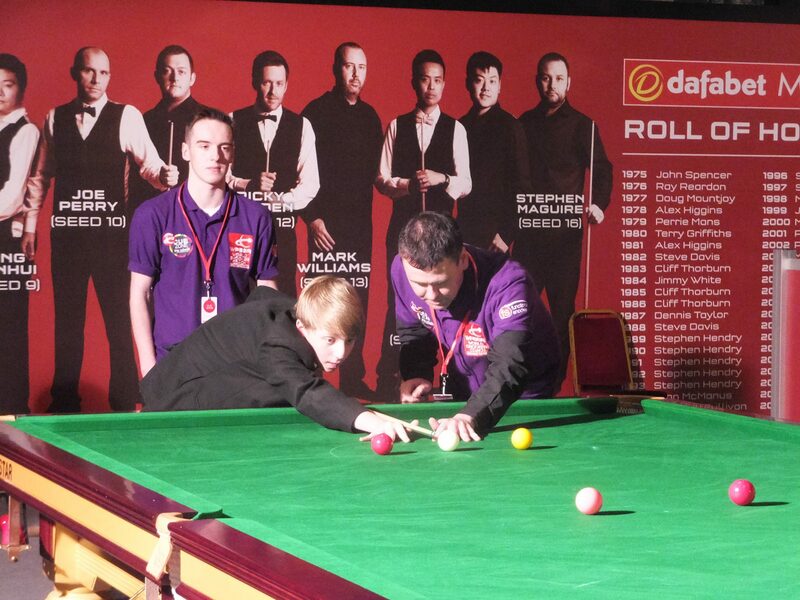 Click here to view a photo gallery of Ralph Allen’s day at the new official WPBSA Facebook page.